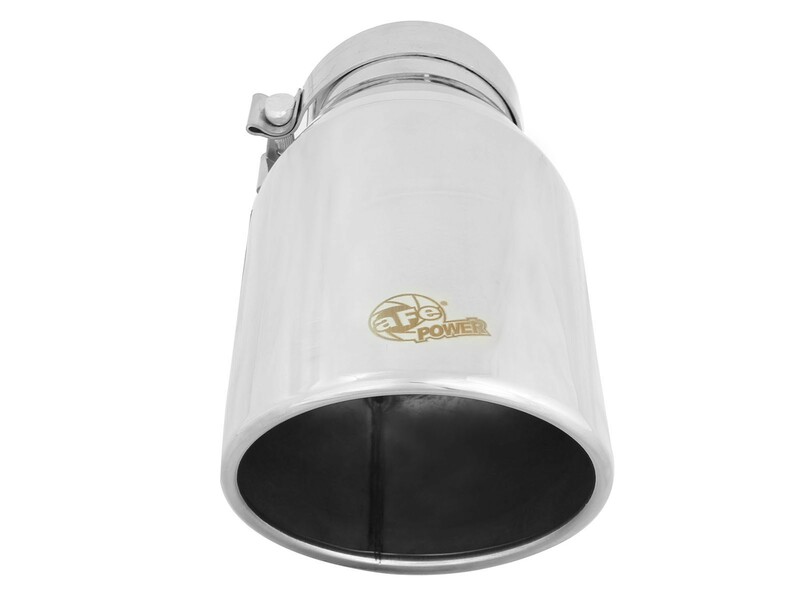 aFe Power is proud to introduce the all new universal diesel exhaust tip. 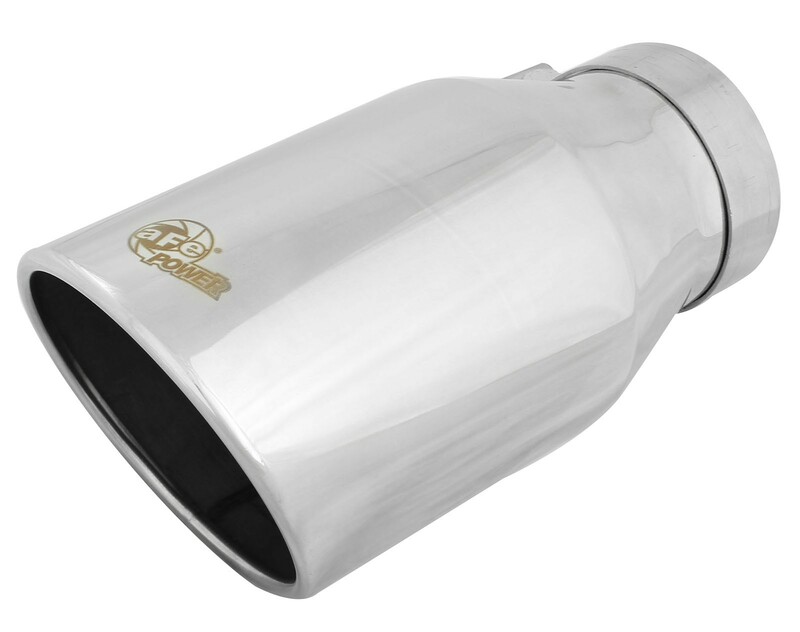 This tip comes with a mirror polished finish and is designed to fit 4" exhaust systems. 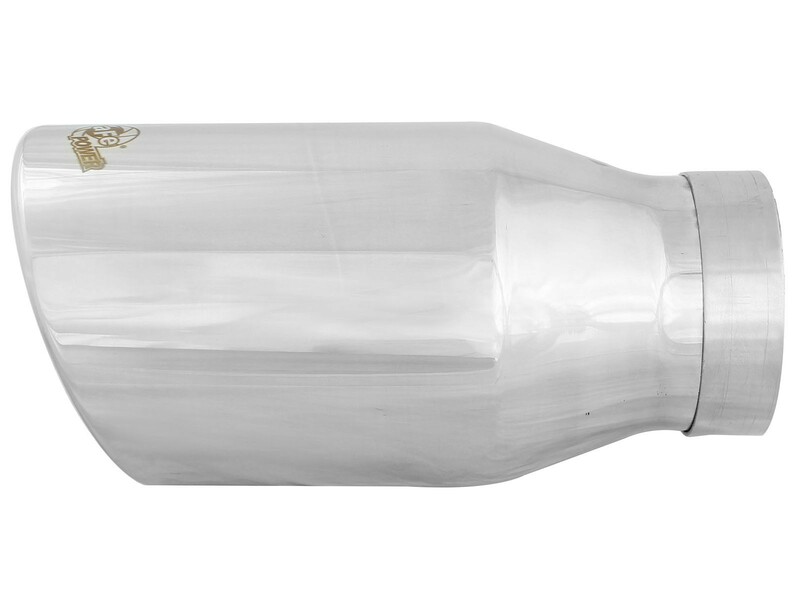 With a 4" inlet x 6" outlet and 12" inch length, this single-walled, slash cut rolled tip comes with a unique laser-etched aFe Power logo on top for an aggressive style. 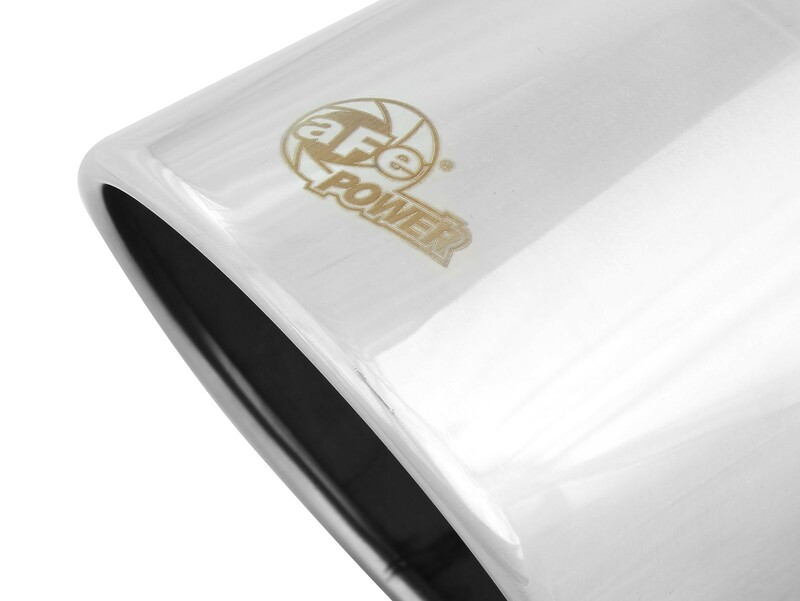 The exhaust tip comes with a unique laser-etched aFe Power logo for an aggressive style. 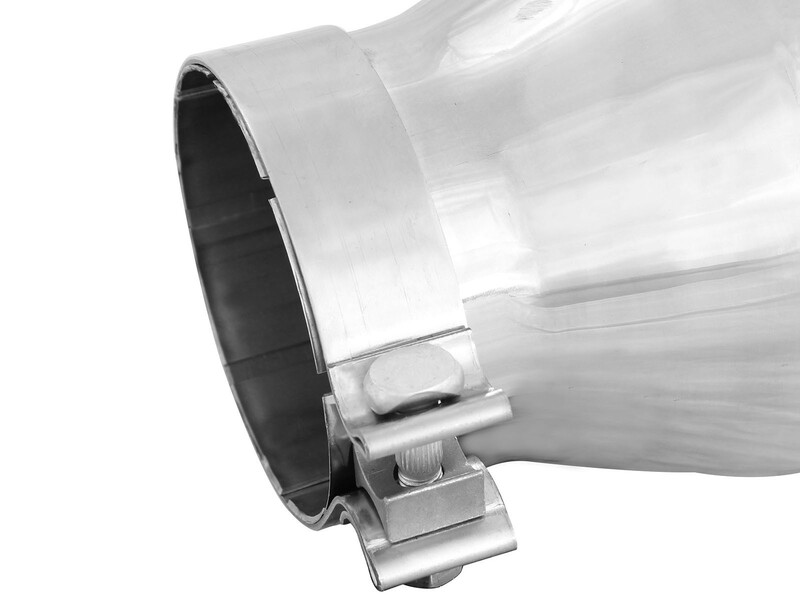 A drain port on the bottom of the tip keeps rust and corrosion away.